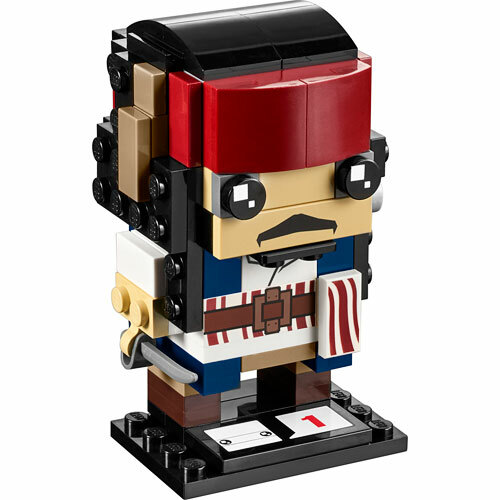 Build legendary pirate Captain Jack Sparrow, as seen in Disney Pirates of the Caribbean: Dead Men Tell No Tales, with this new-for-March-2017 LEGO BrickHeadz construction character. 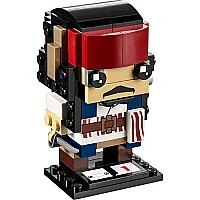 Check out his pirate's outfit with red headband and scruffy hair. 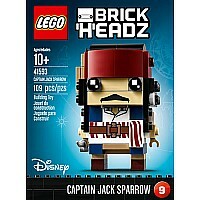 Build the cutlass and attach it to Jack's hand and then display him on his own baseplate. 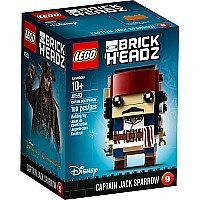 Then show your new swashbuckling friend to all your friends! Measures approximately: 3.58 x 4.80 x 3.07 inches.. 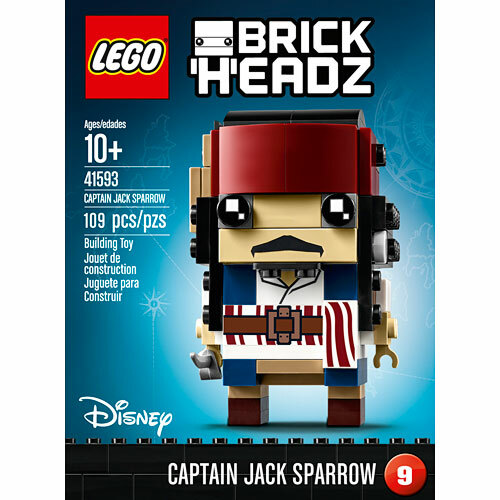 Build Captain Jack Sparrow, as seen in Disney Pirates of the Caribbean: Dead Men Tell No Tales, with this LEGO BrickHeadz construction character featuring colorful and authentic detailing, BrickHeadz eyes, buildable and detachable cutlass, plus a display baseplate. 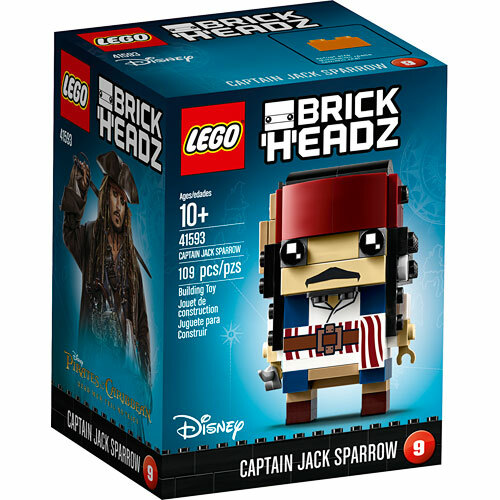 Each LEGO BrickHeadz construction character comes with its own buildable collector's baseplate, featuring series number and BrickHeadz icon.